Our Youth Group program offers service opportunities for our elementary, middle, and high school students. 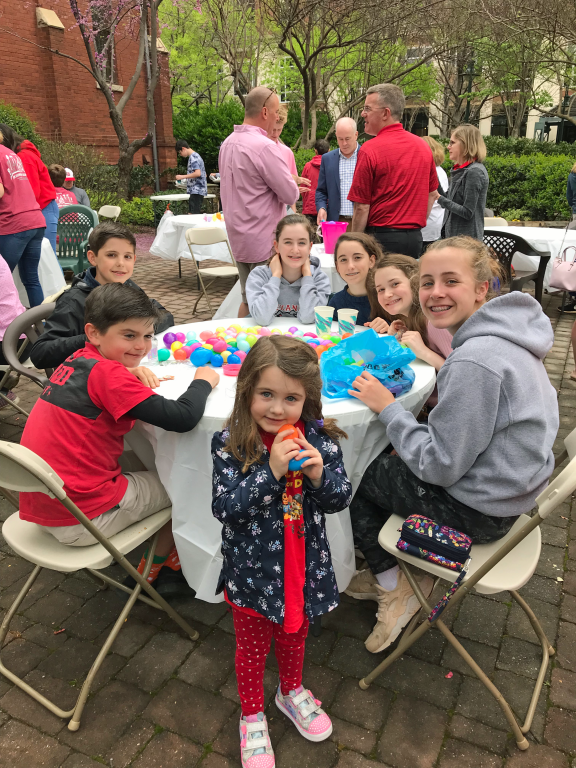 For the past 29 years our parish has integrated service learning with our Faith Formation. We also host teen social gatherings to build Catholic fellowship. 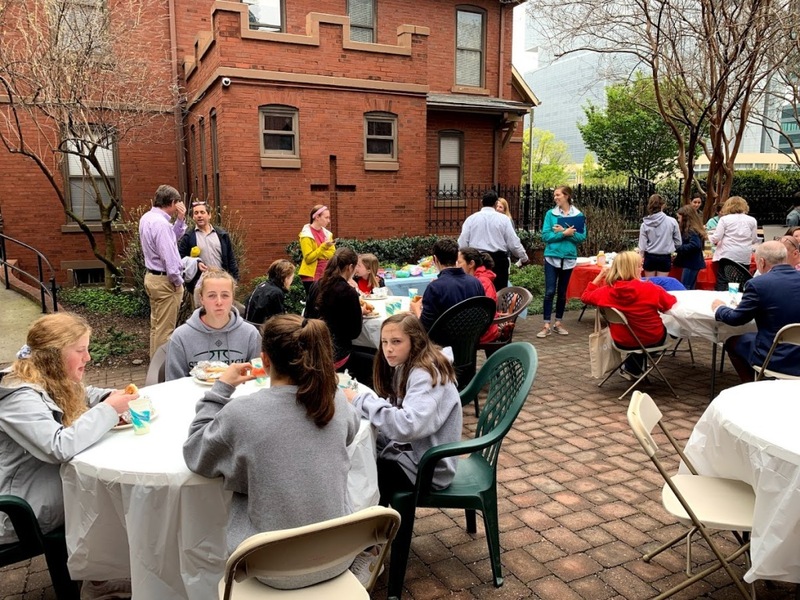 St. Peter Youth Group: All 12 – 17-year-old parishioners are invited to join us for quarterly events to promote fellowship and friendship among our teens. We will serve food, provide a service project opportunity and promote social engagement at each event. Most events will take place on Sunday afternoons or evenings. We invite all teens to participate in service projects at each event. For questions, please contact Sarah Kernodle. Youth Group Cookout and Knights Baseball Game on Sunday, April 7 with the 20s & 30s Ministry serving our youth! Thanks to Kathleen Smith and Sarah Kernodle for making this happen! 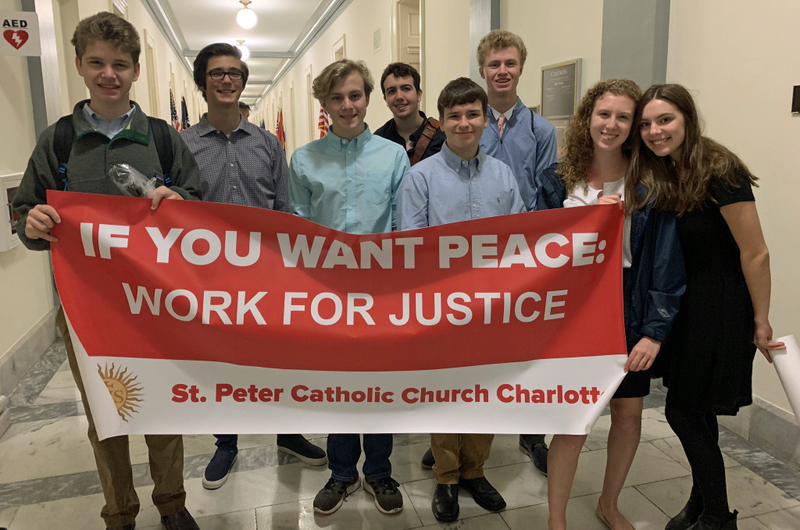 High school youth and adult volunteers from St. Peter were in Washington, D.C. recently exploring issues of immigration, race and criminal justice. They were joined by youth from over 135 Jesuit and other Catholic high schools, universities and parishes in the U.S., Canada, Mexico, Spain and El Salvador. Around 2,000 individuals attended. 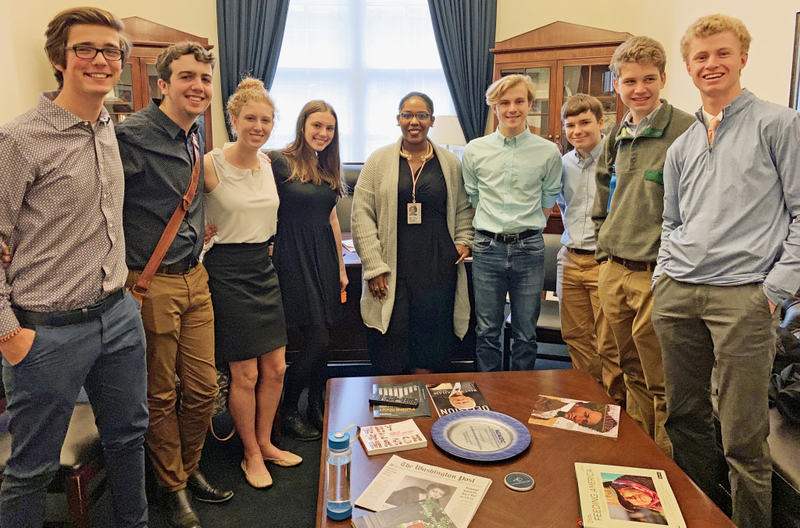 Our youth visited the office of Dr. Alma Adams of North Carolina’s 12th Congressional District to advocate for laws to enact humane immigration policies. “Our citizenship is in heaven.” It is a quote from the Bible, and I think it really represents the mission of the trip"
Flowing from our experience of God’s Mercy, we are impelled to live a Faith that does justice. For more information, contact Cathy Chiappetta.